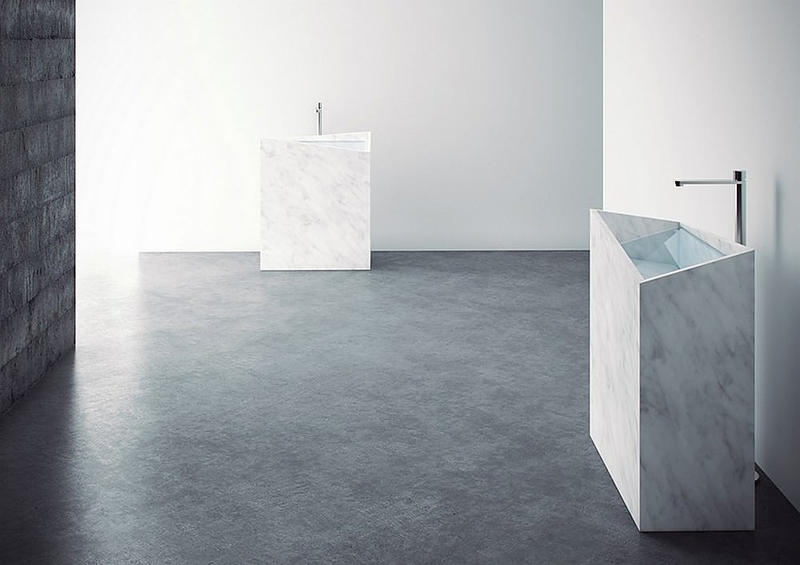 Mono-Lite Marble Washbasin by Thing Design. 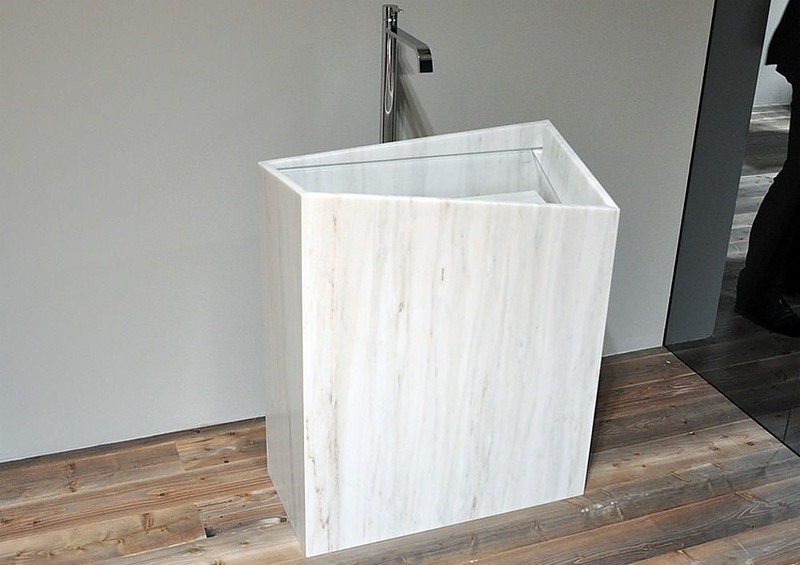 HomeBlogHome DecorMono-Lite Marble Washbasin by Thing Design. 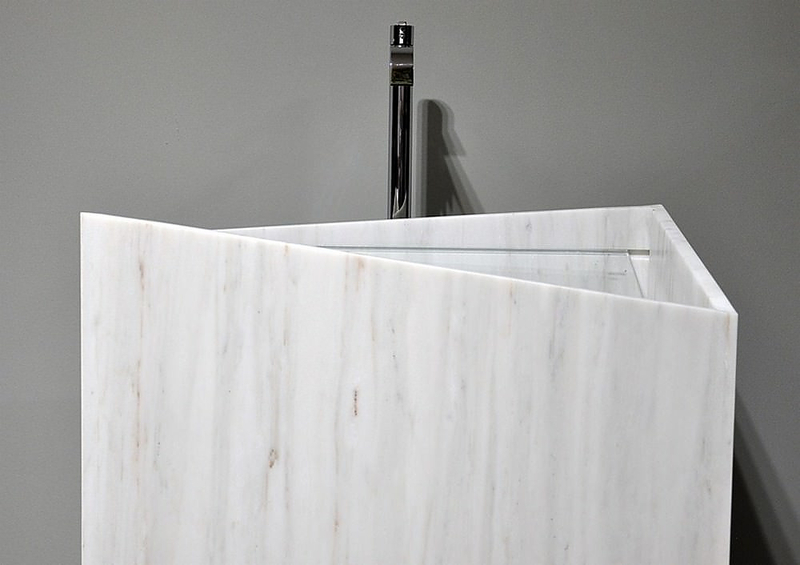 The Mono-Lite washbasin is a monolithic marble washbasin that oozes elegance and becomes effortlessly the focal point in any modern bathroom. 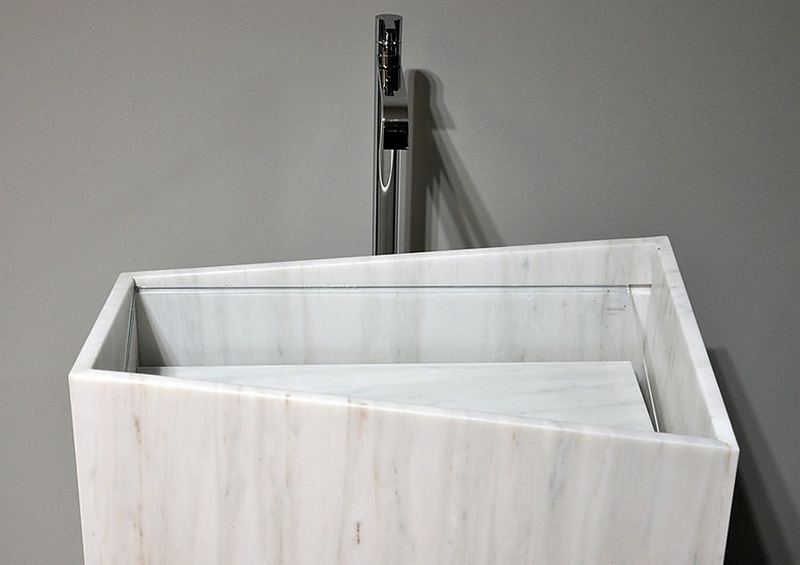 It was designed back in 2010 for the “Dressed Stone” design contest by Italian bathroom accessories manufacturer Antonio Lupi, and it comes as no surprise that it won the competition. 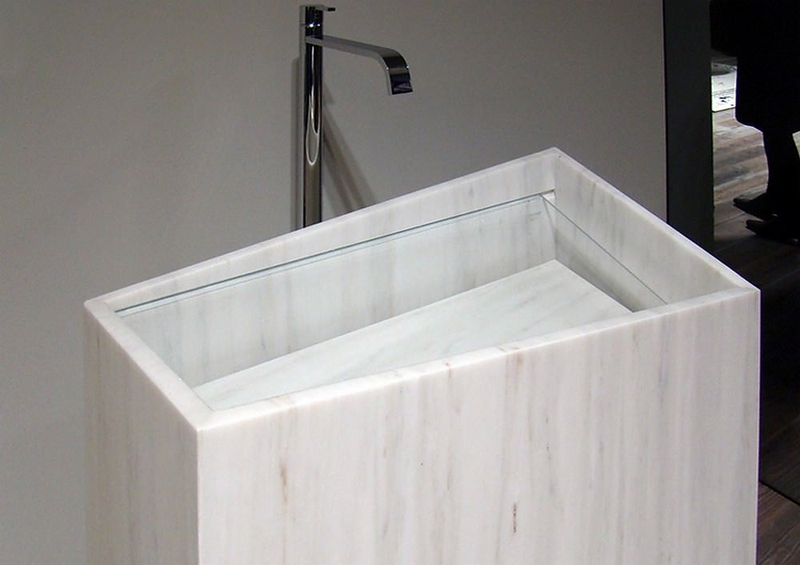 As its name suggests this unique marble washbasin play off the idea of a monolith. It is large, imposing, linear and mysterious, yet light on the eye and elegant. Designer Cédric Facchin, Marco Di Paolo, and Michael Abegg of Thing Design in Zurich have taken the material that is heavy and made it light. Mono-Lite transforms the weighty appearance of the marble by using strict geometric lines, carefully designed angles and an insert sheet of angled glass that creates the illusion of lightness. 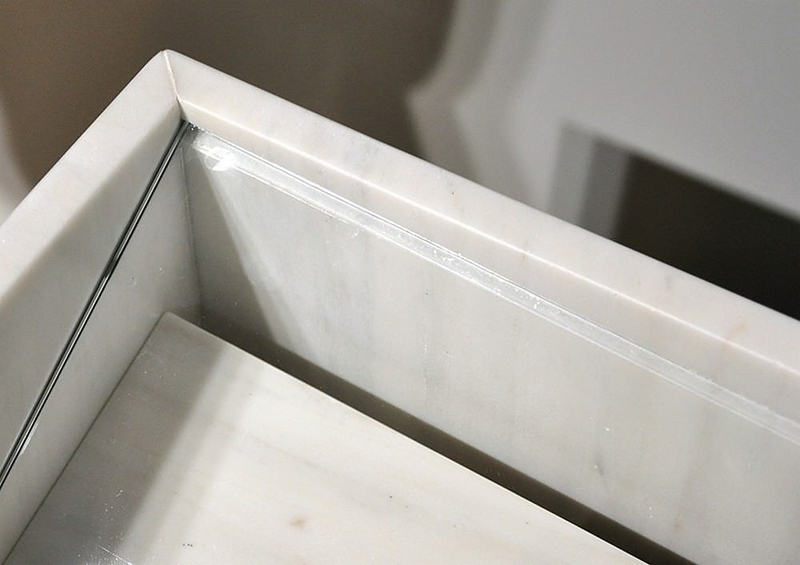 By pairing the angles of the marble sink and the angles of the glass Mono-Lite shifts the sense of weight usually associated with marble. In addition, the glass insert also serves a practical use. 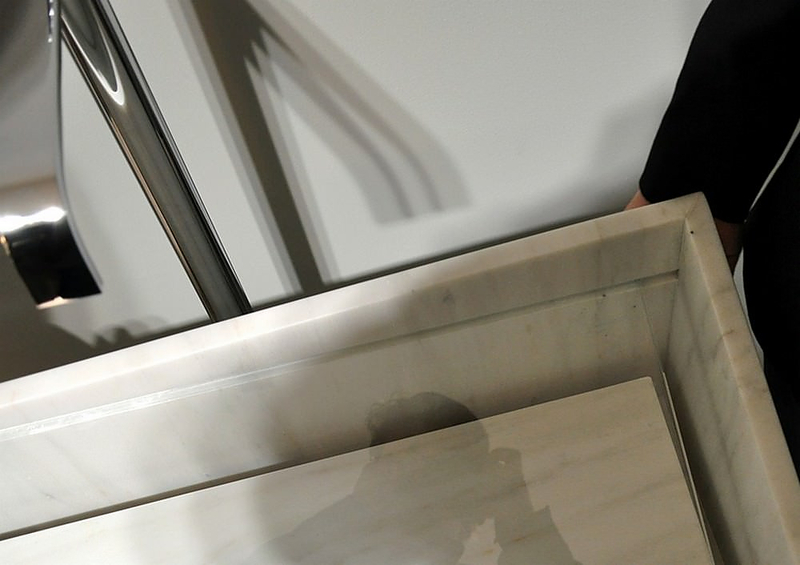 It protects the marble from water dripping directly on it and it adds a “kinetic element” to the piece. After all water is fluid and it is always nice to see bathroom designers highlighting this characteristic of water to their designs. 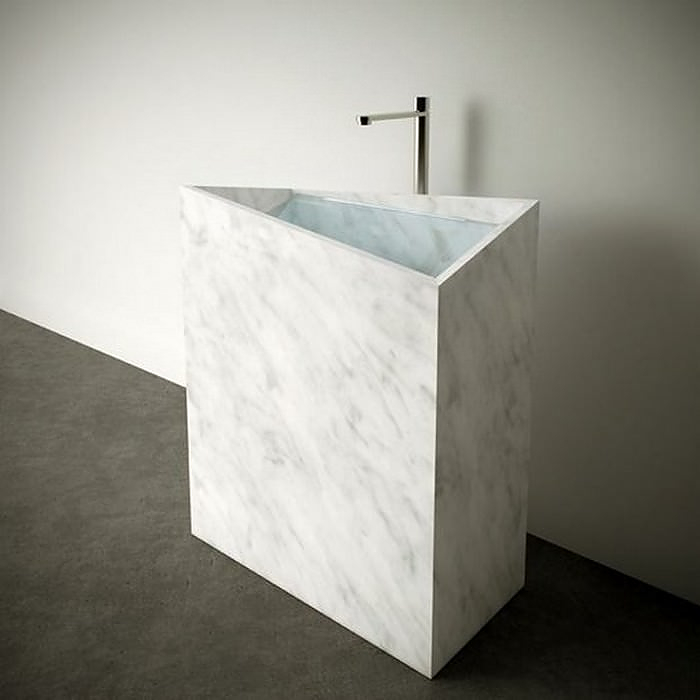 Minimalist Kub Basin by Victor Vasilev. Axor Starck V Transparent Glass Faucets by Philippe Starck for Hansgrohe. 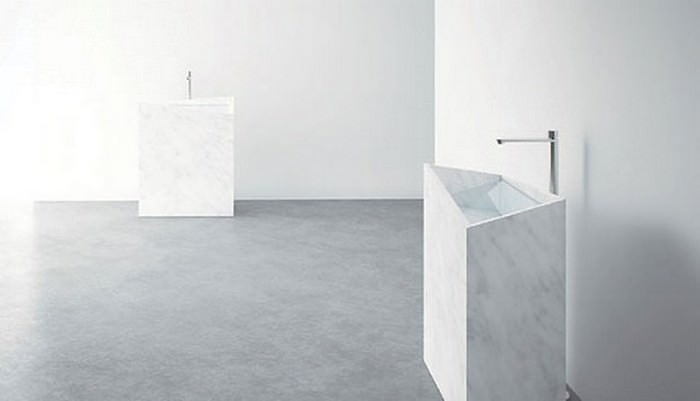 TOTO Luminist Washbasins are illuminating bathroom design.